Our Japanese kabuto and menpo are superbly constructed, beautifully detailed, and a great value. 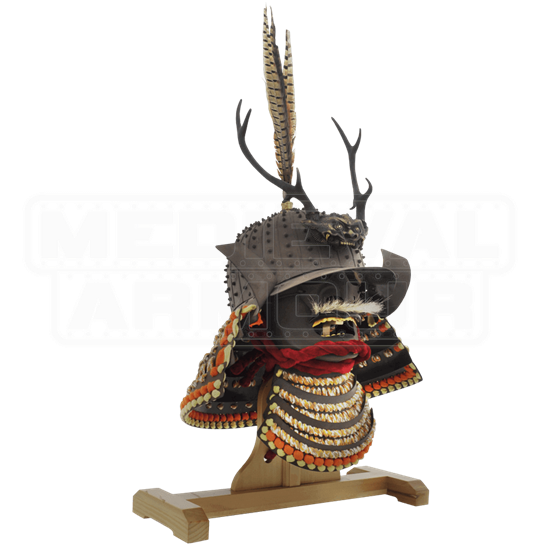 Models AH2082, AH2083, AH2088 replicate the helms of the great Samurai Takeda Shingen, Oda Nobunaga and Date Masamune respectively. 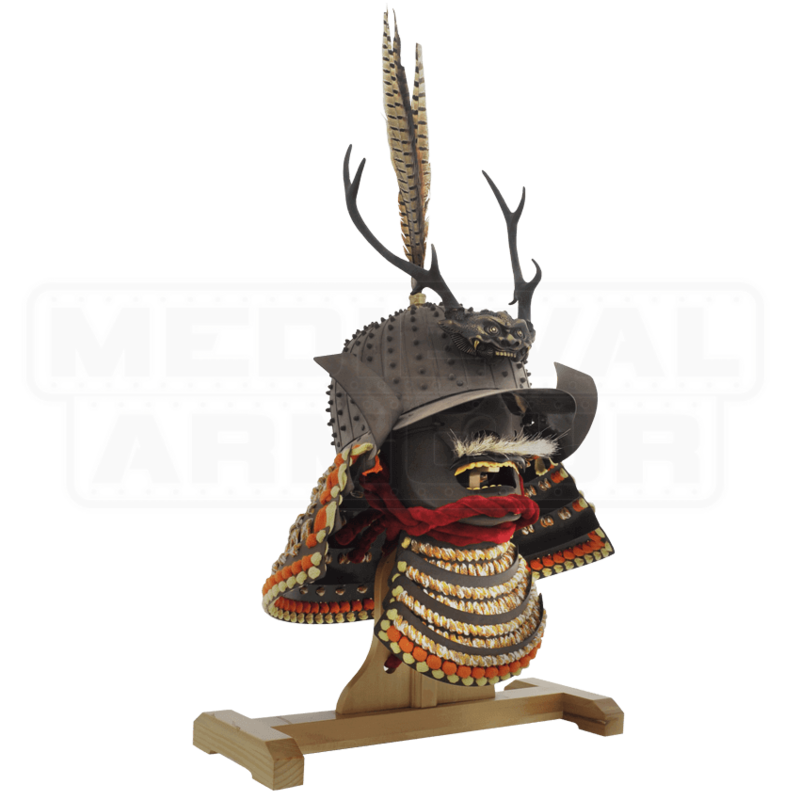 Model AH2081, based on a museum piece of unknown provenance, doubles as an exquisite stand for a katana and wakizashi set. All four pieces are equipped with leather liners, known as ukebari, allowing them to be worn. Custom-designed wooden display stands are included. The museum-quality reproductions of these archaeological treasures, such as this helmet, have been hand crafted by the metalsmiths of Hanwei with exacting attention to detail. The helmets are fully wearable and are supplied with a display stand.